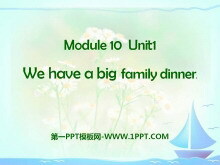 《Merry Christmas!》PPT课件4 Talk about: What do you do at the Spring Festival? 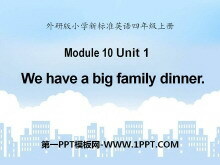 在春节你们做什么？ We have a big family dinner. We have peanuts and sweets. Ask and answer. What do you do at Christmas? 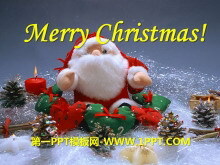 We give p..
《Merry Christmas!》PPT课件3 We wish you a Merry Christmas. 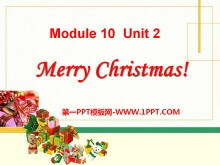 我们祝你圣诞快乐。 We wish you a Merry Christmas. We wish you a Merry Christmas. 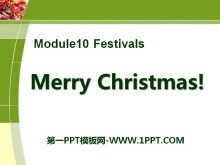 We wish you a Merry Christmas and a happy new year. 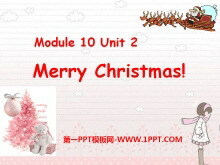 We wish you a Mer..
《Merry Christmas!》PPT课件2 Spring Festival 春节 Happy New Year!新年快乐！ Hello boys and girls! I am Father Christmas. 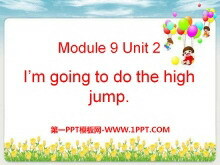 同学们好，我是圣诞老人。 presents give给 我们给礼物。 we give presents. Christmas tree 圣..
《Merry Christmas!》PPT课件 圣诞快乐！ Christmas. is coming ! 圣诞节要来了！ Merry Christmas! Happy Christmas! 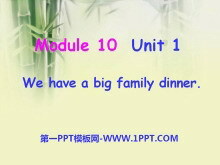 presents give给 我们给礼物。 we give presents. 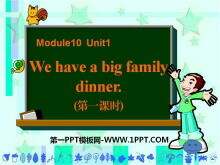 Christmas 我们有一棵圣诞树。 We have a Christmas tre..
《We have a big family dinner》PPT课件4 New words family 家，家庭 spring 春天 dinner 晚餐，正餐 Chinese 中国的 year 年份 New Year 新年 festival 节日 Christmas 圣诞节 the Spring Festival 春节 present 礼物 I see ..
《We have a big family dinner》PPT课件2 New words family 家，家庭 spring 春天 dinner 晚餐，正餐 Chinese 中国的 year 年份 New Year 新年 festival 节日 Christmas 圣诞节 the Spring Festival 春节 present 礼物 I see ..
《We have a big family dinner》PPT课件 Whats it about? （它是关于什么的？） Its about the Spring Festival. 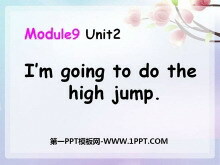 Talk about: What do you do at the Spring Festival? 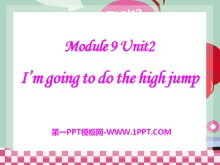 在春节你做什么？ The Spring Festival is Chinese New ..
《I'm going to do the high jump》PPT课件4 Lets say the chant together What are you going to do? We are going to run. Im going to win. What are they talking about ? 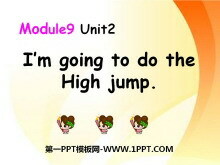 ( 他们在讨论什么呢？) What are they talking ab..
《I'm going to do the high jump》PPT课件2 New words: 1.运动日 8.加油 2.胜利 9.跳高 3.月 10.跳远 4.一百 11怎么样？ 5.米 12.学科 6.每天 7.祝你好运 Can you read? RunrunrunAre you going to run? SwimswimswimAre you ..